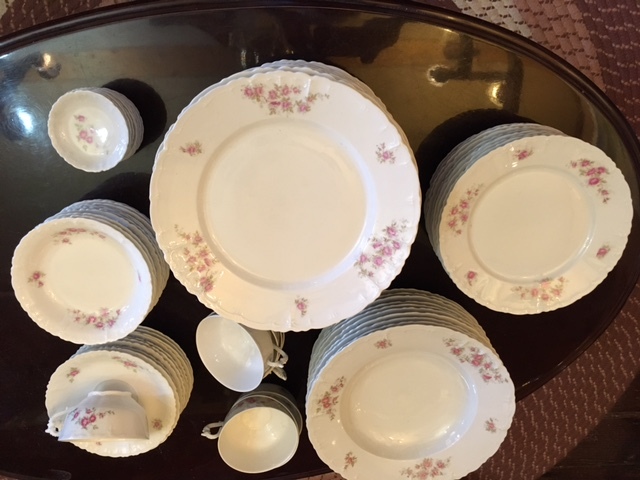 Place settings for a gathering of 10, a lovely 70 piece set of Habsburg fine china dishes, vintage, made in Austria. If you are unsure whether this is a fantastically low price, go take a look at eBay listings of this pattern (we did). Priced at $70 for the entire set. That is only $7 per person at the table. I doubt you can find a plastic set for that low price. 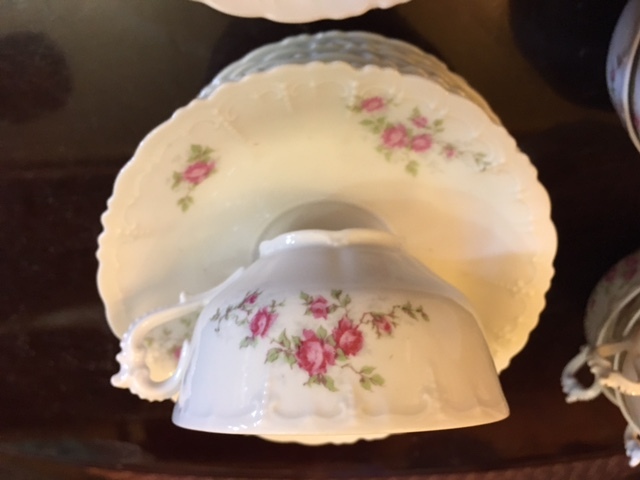 Stop by for a look, we are next door to the Angels in the Attic Store, adjacent to the Floyd Country Store.